Fourteen garden members attend this morning’s meeting. Here are a few items we discussed. We have four garden committees, 1) Social Committee, 2) Communications Committee, 3) Maintenance Committee, and 4) Enforcement Committee. Below are a updates from the committees. Committees would love to have more members join! They are just getting started! May 28th (see flyer posted below): We are excited to announce to the Orange Village Community Garden Open House from 2-3pm. Please join us whether you are a seasoned gardener, a new gardener, or you just have an interest in what the garden is about! 0n a Saturday morning in June -possibly carpool from the Village Hall. If you would like to share pictures of your garden, tips, resources, etc, or if there are topics that you would like to read about on our blog, please let us know! The Maintenance Committee plans to organize work days when volunteers can help with garden upkeep, such as cleaning or staining the shed, etc. Hardship help: If a gardener is experiencing a hardship, such as an illness, injury, or other situation that prevents full participation in gardening, please let us know, and we can find people to temporarily help with upkeep. 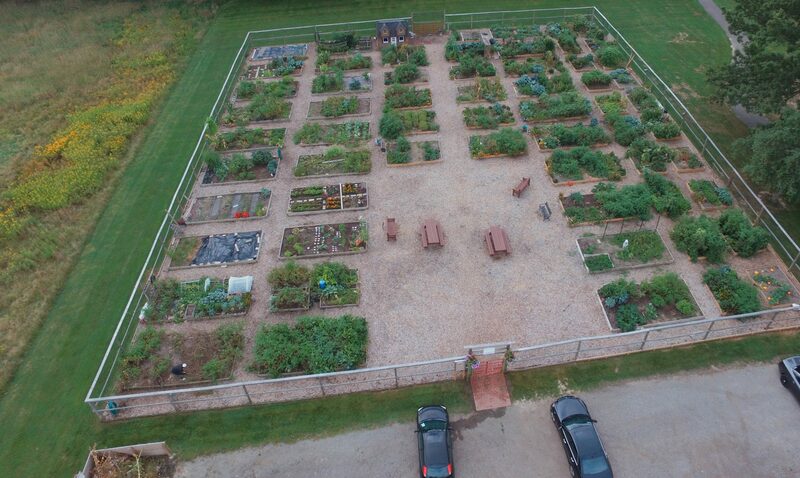 To ensure a beautiful community garden experience for all gardeners and the community this year, rules such as keeping garden plots and walkways weeded are being enforced. Please help us keep up the beauty of the garden by weeding your plot and walkway. A covered kiosk style bulletin board will be installed at the garden to improve communication. If some has extra produce or materials to share, they can post there. Garden meetings: 1st Saturday of each month 10-11am at Village Hall! We all enjoyed catching up and sharing information. Please join us in the future!